Posted on 28th July, 2017. 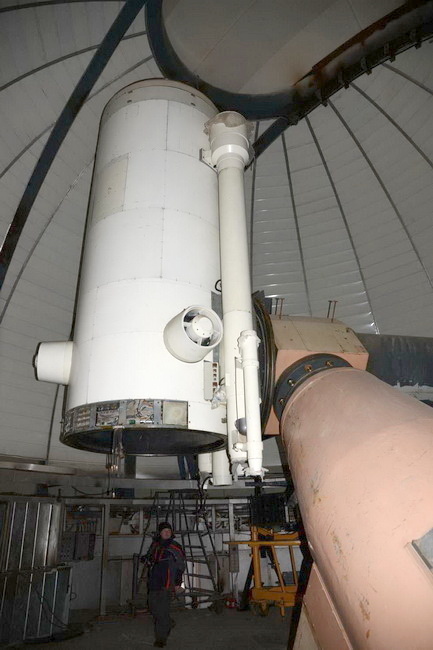 After 25 years of conservation, the 1.5-meter AZT-20 telescope has been installed and put into operation at Assy-Turgen observatory in Kazakhstan. Construction works were launched at the end of 1980-s. 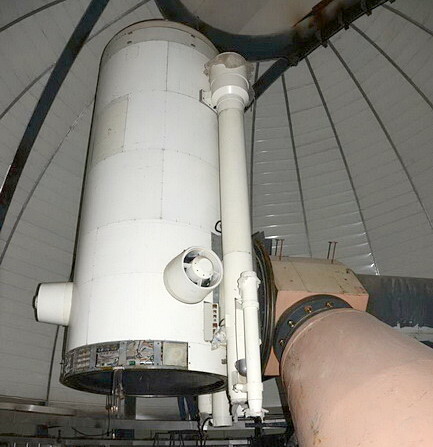 The tower was built, the dome was installed and the telescope mount was assembled. 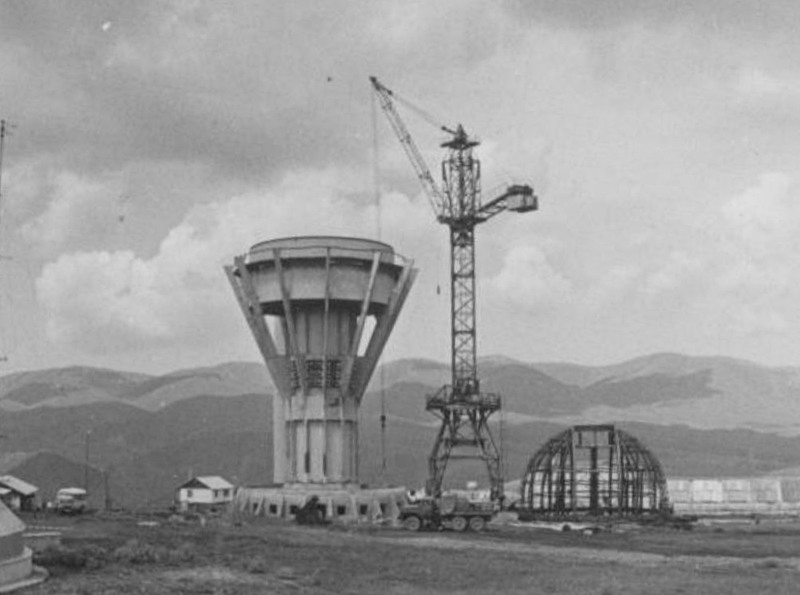 But the USSR disintegration made it impossible to finish the work and the telescope, as well as the uninstalled 1.5-m mirror, were put into prolonged storage. 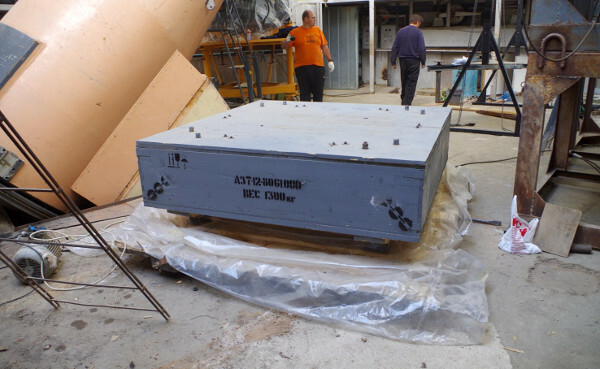 In 2014 the decision was made about depreservation of the telescope and its subsequent construction by efforts of Fesenkov Astrophysical Institute. The major difficulty was the recovery of the project documentation. 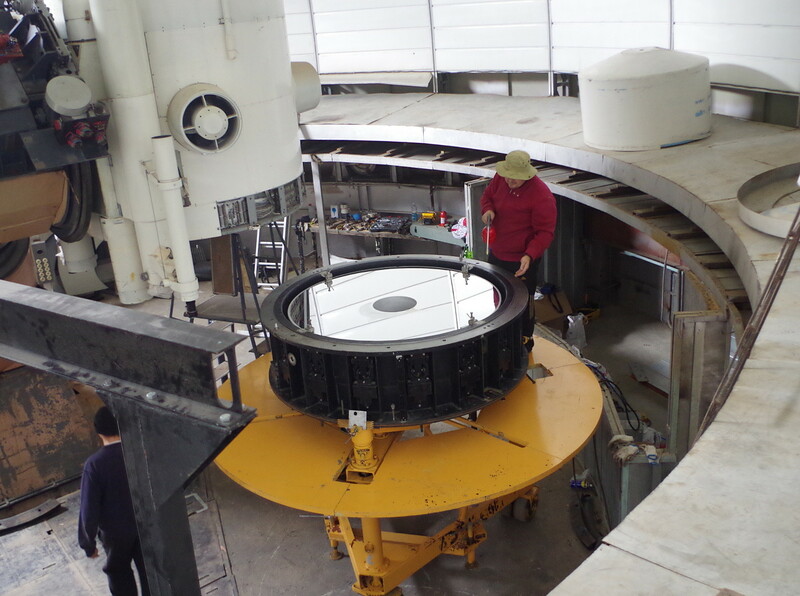 Nevertheless, already by the end of 2015 the main mirror was installed into its projected position and the telescope guidance system was put into operation. To achieve full automation and remote control, its original electronic schemes and most of electromechanical drives were replaced with more efficient and accurate up-to-date systems. 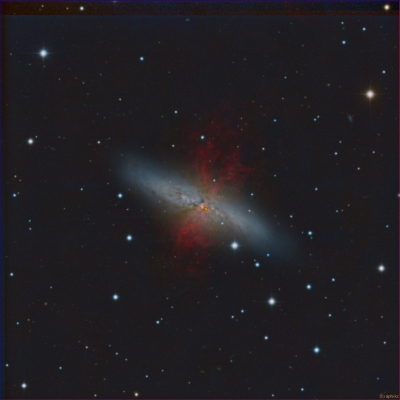 Besides, the telescope was equipped with modern light detector, namely, the Apogee UV42 ultraviolet camera that allows to take the full advantage of the high-altitude position. AZT-20 saw the first light in October 2016, and on July 27, 2017 it was commissioned in test mode. In the near future it is planned to modify the optical system and to equip the telescope with bloomed quartz-fluorite focus reducer, which will allow to increase the field angle more than four-fold. Also, it is planned to install spectrographic and polarimetric equipment developed by FAPHI researchers in collaboration with international companies and universities. After being put into operation, AZT-20 is now the largest telescope in Kazakhstan and one of the largest in the post-USSR region. 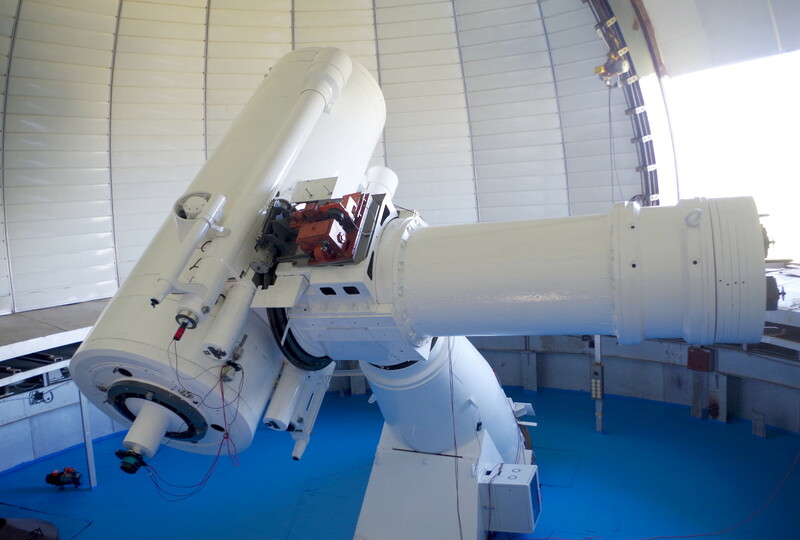 The telescope is hosted by Assy-Turgen observatory which has very low light pollution and almost ideal astroclimate. 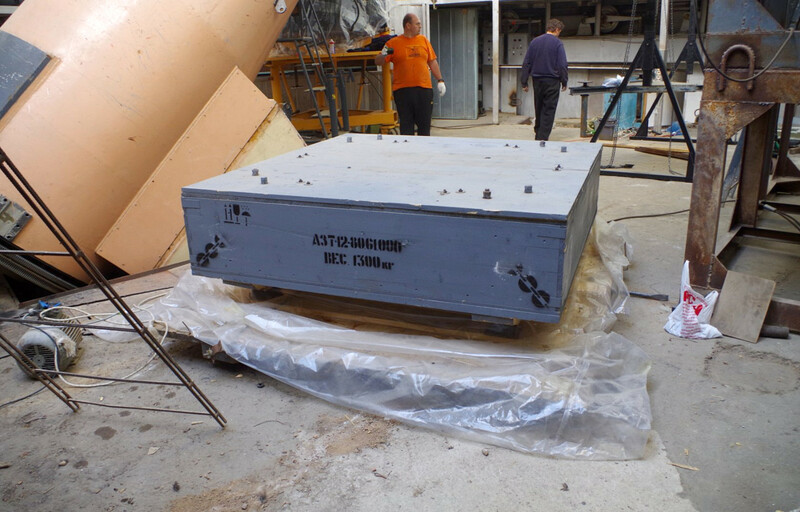 The main mirror of the telescope is manufactured with difаraction quality, which, together with modern equipment, will allow to perform cutting-edge research of far space at high international level. AZT-20 without main mirror and guidance system installed. Depreservation of AZT-20 and the relaunch of construction works. At the foreground is the case with the main mirror. 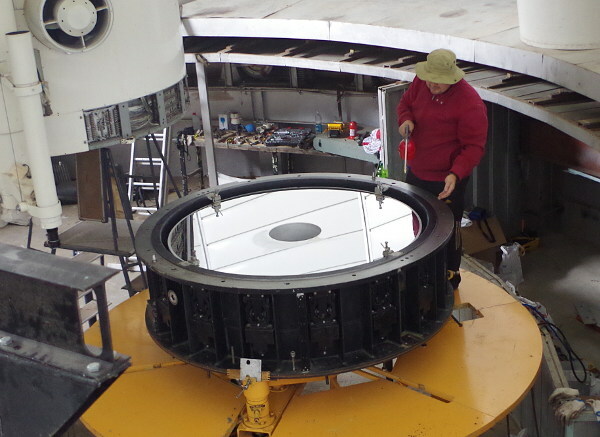 Preparation of the main mirror for installation at the telescope.